As the sleet came in sideways, I debated the wisdom of trying to get into my pack to put on my puffy. I was on skis, standing in sparse high-alpine juniper trees, and at the top of a 50-foot, snow-covered cliff. I was also freezing. 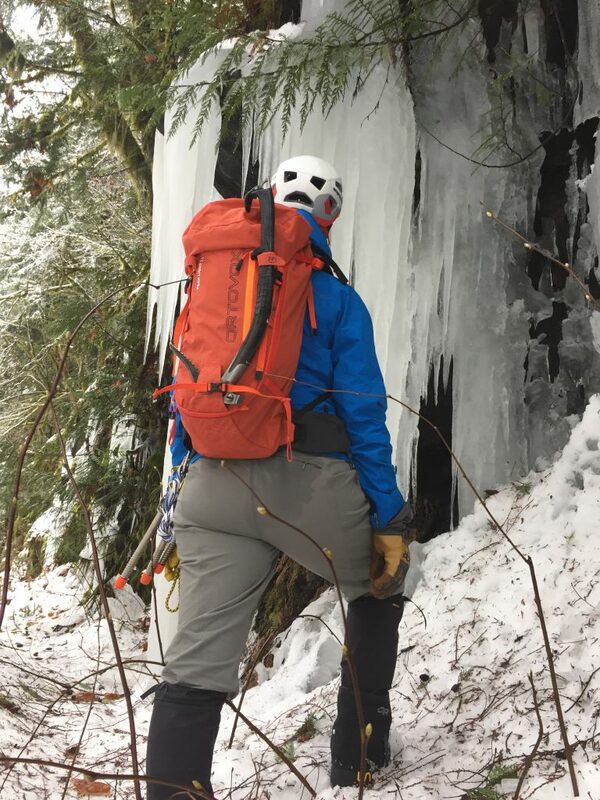 As I gave in and slipped off my pack, I remembered the circumferential zipper and smiled at the ease and speed with which I was able to access my warming layer. Jacket on, now back to skiing. When I first opened the box containing the Ortovox Peak Light 32 pack, I was immediately impressed with the overall quality of construction. The pack is amazingly light, even with the rigid internal frame, lid, and padded straps. Still, light as it is, it feels durable. The nylon shell is stiff and feels like it would hold up to significant abuse. It is also thoughtfully designed. From generous zipper pulls designed for thick gloves, to the already mentioned water-resistant circumferential zipper that really does an amazing job of letting you get at your stuff, this pack just works. Other features I really like are two pockets in the waterproof lid (I can attest, it is actually waterproof), a provision for a hydration bladder (gotta stay hydrated), and the side compression straps (makes getting on a chairlift while wearing the pack much easier). I put this pack through its paces. 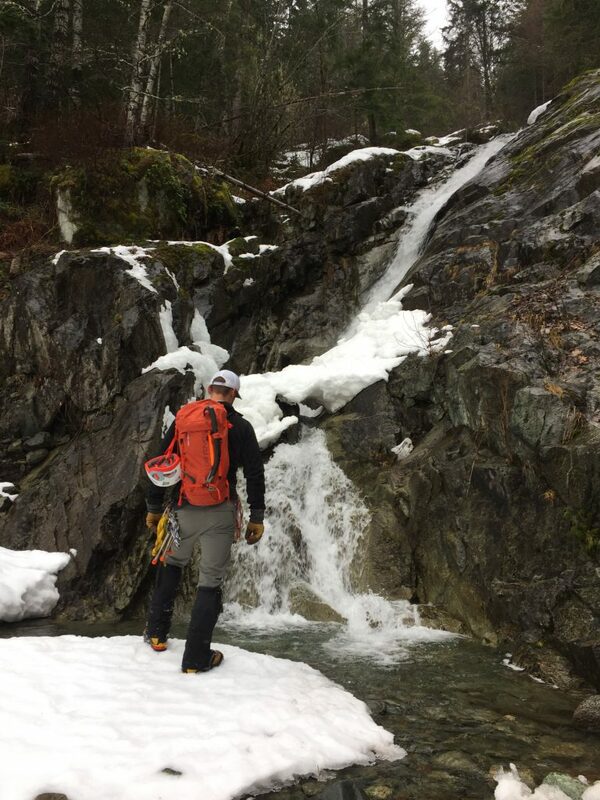 From backcountry skiing in both great and terrible weather to approaching ice climbs, to general hiking, I loaded it with gear and tested it under many conditions. 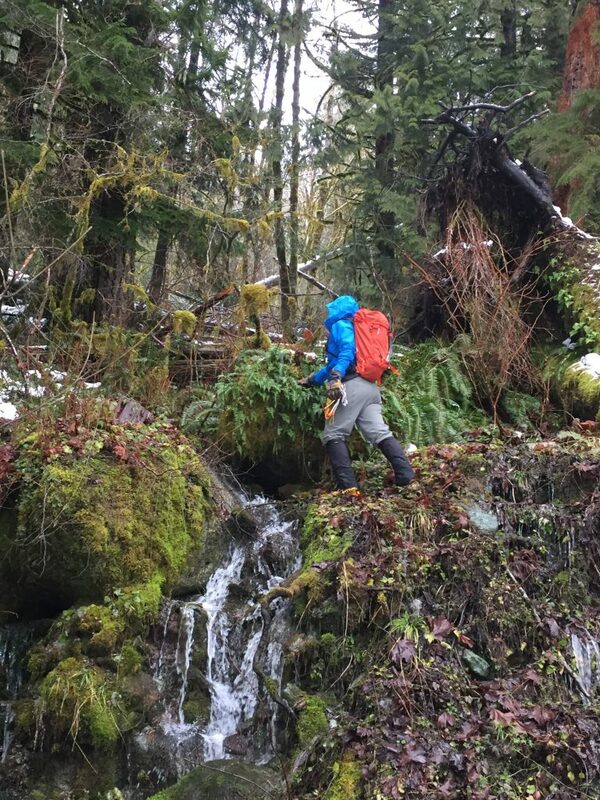 I carried up to 40 pounds in it, and despite that much weight in such a light pack, it was still comfortable. 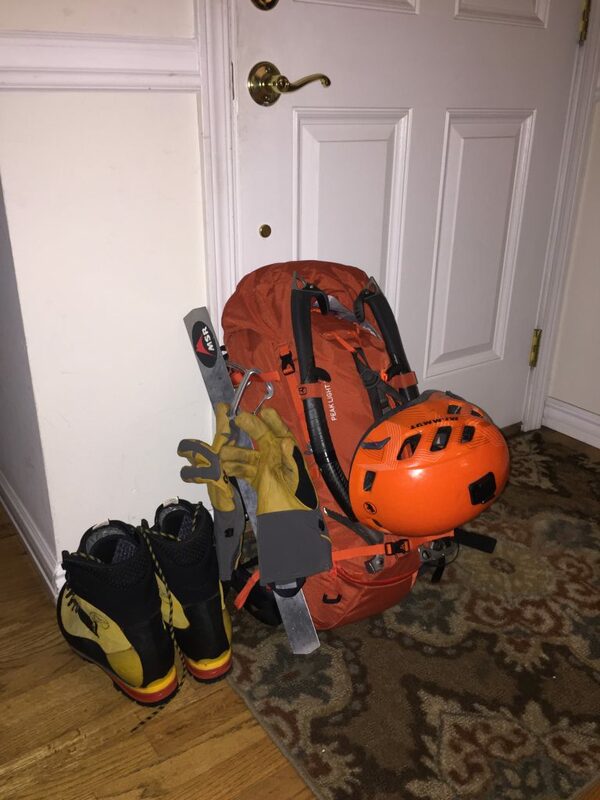 As a backcountry ski pack, it works very well. (Did I mention earlier, it’s light?). It has specific pockets for your shovel and probe, comes with a helmet net that attaches to the back (also works well to hold your trucker hat when wearing your helmet), and fits comfortably over any combination of layers. 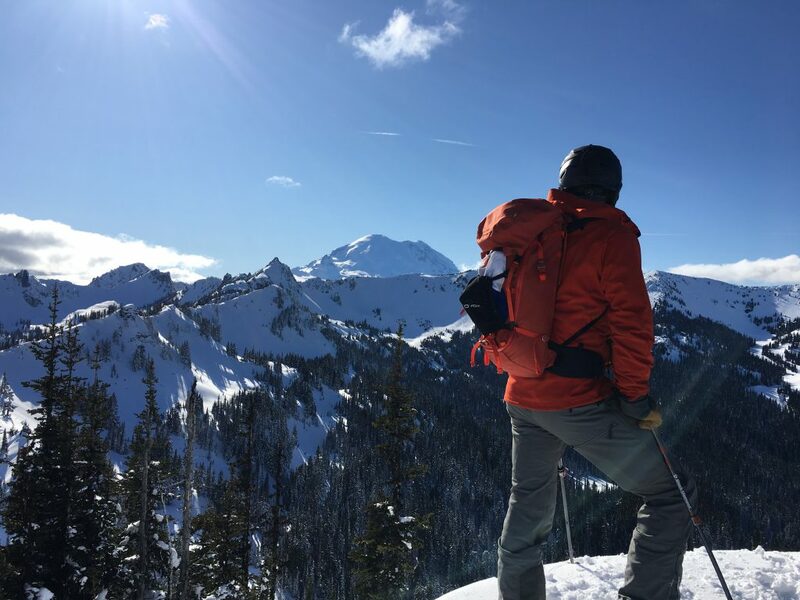 The first day I skied in this pack was a beautiful clear sunny day, with eight inches of powder that had been delivered two nights prior. 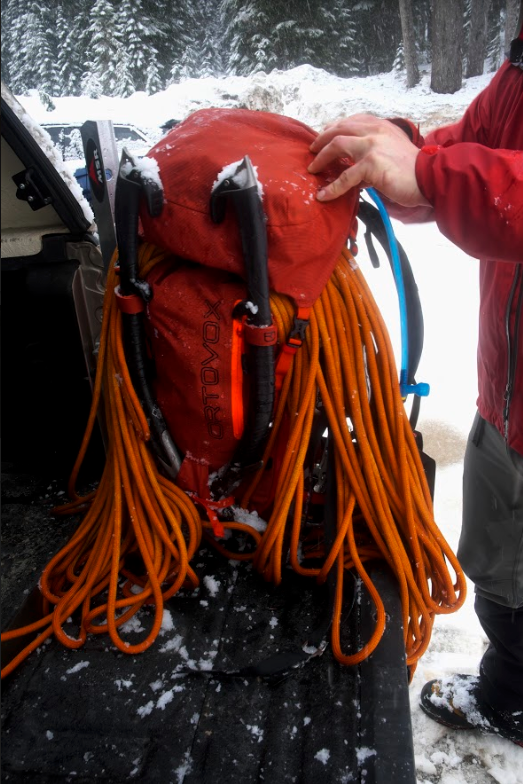 The second day I skied in this pack, I exposed it to rain, sleet, snow, and various mixtures of all three. Although a little water did penetrate into the main compartment (Ortovox says this part of the pack is water resistant, not waterproof), my stuff in the lid stayed bone dry. I also used it to approach ice and alpine climbs, and it excelled here too. 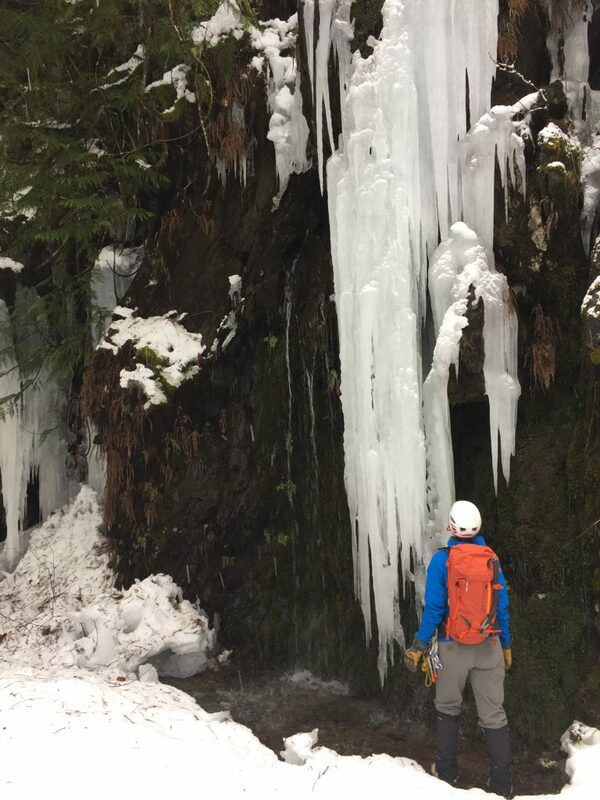 Protection inside, rope on the top, ice tools and crampons conveniently strapped on the outside, and everything stayed right where I wanted it to be. Despite really looking for shortcomings, I was only able to find one. And it’s a minor one at that. 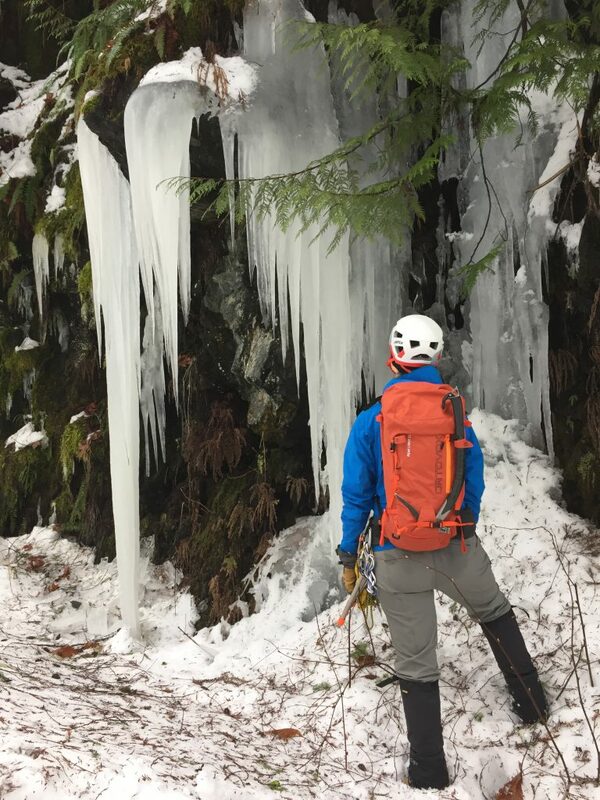 The Swisswool tec knit back is great, but it does really hang on to snow. Every time I set the pack down in the snow (which is pretty frequent during winter activities) the wool at the bottom acted like snow Velcro. Then when I put the pack back on, I would have to thoroughly brush the bottom of the pack off to be sure my lower back didn’t get soaked. My suggestion would be to keep the Swisswool tec knit on the back but use a more traditional and water-resistant fabric on the bottom six inches. I loved this pack, to the chagrin of the rest of my pack fleet. Somehow, despite having a bunch of other packs that I am familiar with and like, this one has become my go-to. I tend to consider myself somewhat of a skeptical grader, but I confidently give the Ortovox Peak Light 32 five stars. Shop the Ortovox Peak Light 32, on promo now on Outdoor Prolink. Not a member? Apply today! Adam is a firefighter/EMT living in Seattle, Washington. He has worked in the outdoor industry in both Colorado and Washington since 2013. 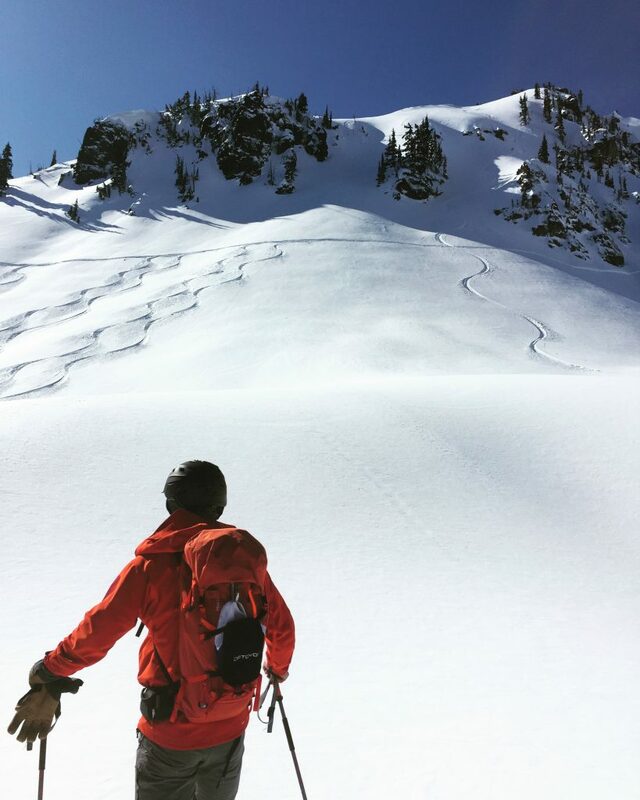 While he loves summertime rock climbing, mountain biking, and backpacking as much as the next dirtbag, his true passion is winter adventure. When ice starts forming, he gets a distant look in his eyes and obsessively sharpens his tools. When powder falls, he gets as giddy as a schoolkid at Disney Land. He is currently making snow angels and hoping La Niña will be back with a vengeance next October. He can be found on Instagram at @adambracchi_outside. With just the first sentence read, I was thinking, “you brave soul, rather you than me” I don’t like to be cold and I dont like sleet and snow. What I do like however is a pack that has a zip like yours. I purchased my first backpack with that type of opener years ago. I will never go back to packs with only top openers. They are impractical at their best.